We source small or large development sites across Australia. Finding development sites that deliver a reasonable profit and meet minimum rates of return is difficult in today’s market. We assist experienced developers in finding and negotiating the purchase of development sites. Most of the sites we have found in the past have not been advertised to the general public. These off-market opportunities are sourced through our extensive agent and developer network. As a developer it is important you get independent advice before committing to a purchase. You must know your feasibility backwards before you start, otherwise it is a recipe for financial trouble. Our role in the development process is primarily locating a suitable development site and estimating sale values. We can also provide referrals to other key service providers including builders, engineering consultants, quantity surveyors, town planners, land economic consultants and project managers. If you are a developer and you are looking for a site, contact our office to arrange a consultation to discuss your specific requirements. We also undertake project consultancy work for site acquisitions or special projects. We have assisted several community groups and private developers amalgamate hand-picked sites with discretion and privacy. Daichi has a unique ability to source off market sites is very impressive. 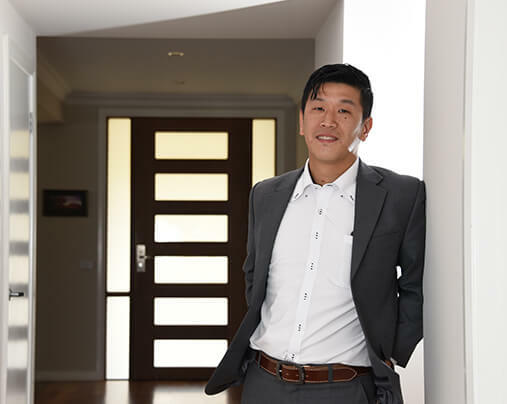 His strong network of contacts and prospecting skills enable him to uncover off market development sites before they are advertised to the public - giving his clients the winning edge. Daichi has a strong understanding of feasibilities and can quickly assess the viability of sites. He is also a consummate negotiator and has excellent skills to professionally manage the negotiation process with both buyer and vendor.